Friday the 13th was a couple weeks ago and Halloween is almost here, but don’t let the calendar decide which horror franchise you should be enjoying right now. 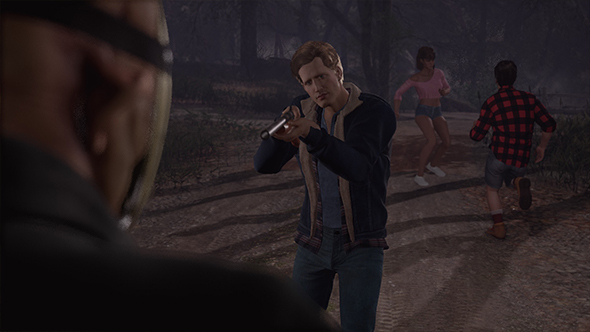 A big update is coming to Friday the 13th: The Game, bringing a new counselor, loads of bug fixes, and some tweaks aimed at making Tommy Jarvis players act a little less selfish and a little more in the group’s interest. Interested in more violent thrills? How about the best zombie games on PC? Those Tommy updates are hilariously minor tweaks, like changing the spawn text for players from “Escape” to “Save the other counselors,” indicating that nobody was quite getting that they should be helping the team when they step into Jarvis’s shoes. He also no longer remarks that he needs to “get out of here” when he spawns. More significantly, players will get a XP bonus for sacrificing themselves to Jason as Tommy when other living counselors are nearby. To go along with the “please play Tommy correctly” updates, there are now also a handful of Jarvis tapes to be found. And, of course, we’ve got new counselor Fox, who has a rad leather jacket and a strength score to match. Jason isn’t getting left behind in this update either, as there are five new environmental kills featuring household items, including stove tops, boom boxes, and screw drivers, as well as kitchen knives in “throat slit” and “stab” configurations. More general changes include proper kill credit for Jason when a counselor disconnects during a murder animation, dropped repair parts now show up on counselor maps, and Jason’s grabs now have a slightly more limited range. You can check out a full list of bug fixes and changes with the official patch notes, and if you’re looking to get into the slasher it’s currently half-off as part of the Steam Halloween Sale.